Hello everyone! Mish here tending the bar for today’s Poetics. My travels have taken me to other parts of the American Southwest which Wikipedia describes as all or parts of Arizona, New Mexico, Utah, Colorado, Utah and Texas. It also includes the most southeastern section of California. You may have spent some time exploring these areas or perhaps you have the privilege of residing in one of them. Fortunately for me, regular visits to family bring me back to hike new trails, camera in hand. So today I am asking you to write a poem inspired by the Southwest. Bring lots of water and take a walk in the desert. 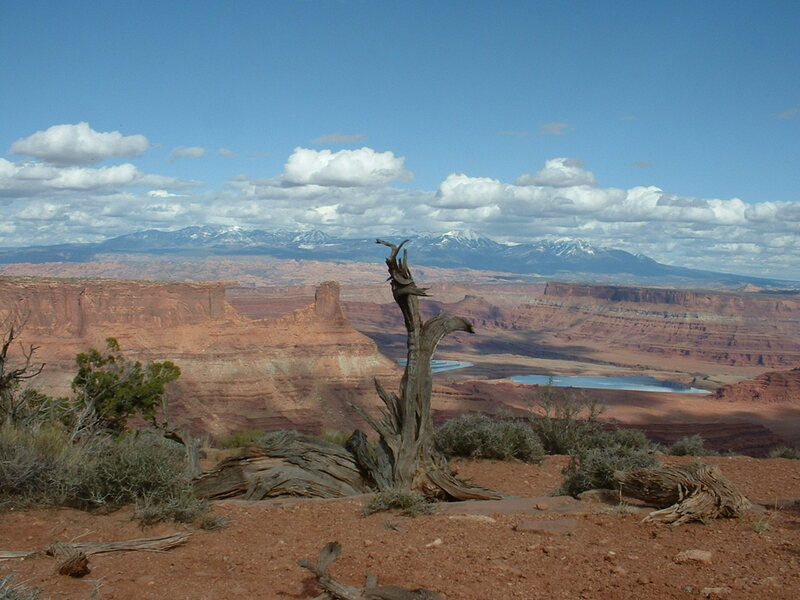 Relax on a mesa, take in the beauty of it all or mosey on back to the ol’ days of the Wild West. You are free to use one of my photos I have included here and you can find more photos to choose from on my blog. I kindly ask that you give credit. Write a poem related to the prompt and post it to your blog. Click on the Mr Linky button below to add your name and enter the direct URL to your poem. You will find links to other poets. Read and comment on other poet’s work. Good evening… Mish will come in a little later.. 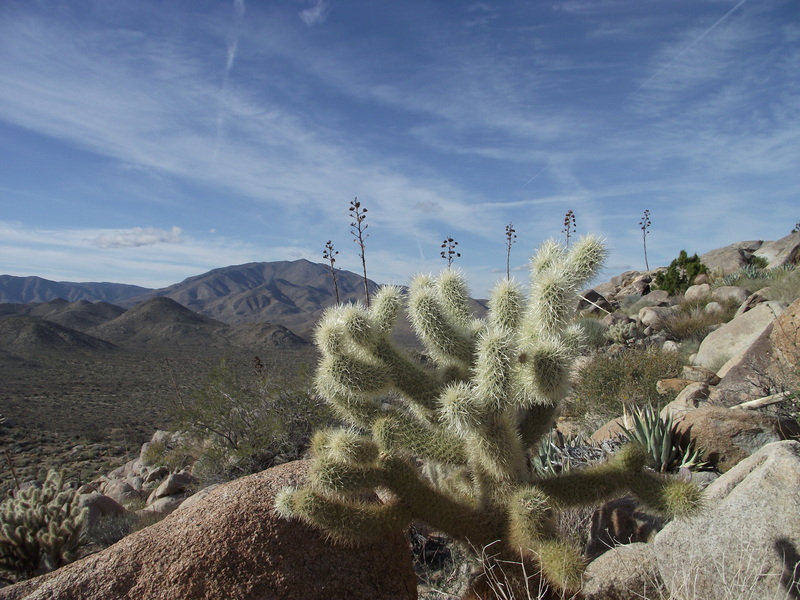 I love the thought of the Southwest… a wonderful place to visit, and it becomes part of you. Thanks Bjorn. The Southwest does have that effect on me too. Oh you must… so many wonderful places. I live in WA state, which is half arid, half mountainous forests & inland sea, but the magic of the Southwest has snagged me too, years ago. My wife is from TX, so we regularly do road trips across the Southwest going to & returning from TX. Thanks for a wonderful prompt. I lived there for almost a year, and have been back a few times… I have a brother in law in Boulder…. Hello Bjorn. And thanks Mish for a wonderful prompt. Your photos are stunning! We’ve traveled this part of the country and done some amazing hiking. I was lucky enough to get to the Albuquerque, NM hot air balloon festival and went out before dawn. Rows and rows of hot air balloons, deflated, their baskets tied down — and then row by row they are “signalled to release.” An amazing site! Went there with my poem this time. Excited to see what everyone else writes 🙂 Happy Tuesday everyone. Thanks lillian! So glad you enjoyed the photos. It will be fun to see what everyone chooses as a take off for the prompt. Thank you Mish for this wonderful prompt and gorgeous photos. Made me yearn deeply. I fell in love with the Southwest and the desert when in University. Every summer we trekked there and to Mesa Verde to do archeology. studies….sleeping under the stars…Years after I graduated I returned. Once with a guide, several times alone except for being on horseback. I was never afraid and always at peace. Did meteor shower viewings with small groups in the Mojave. Nothing in the world like it. I’d love to go back but my husband wouldn’t make it except on the perimeter. Did some trips to the haunted memorial at Wounded Knee and stayed with a past lover on the reservation while he took me and showed me his homeland, where he grew up and where his people were forced to live. I may have to do another poem along this line. Wow…Toni. Thanks for sharing those sights and activities…great ideas. I have never seen a meteor shower. Sounds spectacular. The First Nations reserve in New Mexico is enormous. I love the culture of the Navajo…similar to that of where I work. So glad you have some good memories of traveling in those parts. Wonderful memories. Because of a lover at the time, after summer university work was done, we’d drive up to his home on the Pine River Reservation in SD – site of Wounded Knee. So I really got into the culture of the Sioux…but the Navajo, the Pueblo…..such incredible people and culture. Mish, you have forgotten the beauty of Alberta’s badlands, which is, much like your US southwest. Although, not sure, you have fossils, appearing, at your feet, like Drumheller does. Greetings everyone!! Thanks for opening up for me, Bjorn. Nice to read some vivid memories of the Southwest being shared. Passing around some warm sopapillas with cinnamon and honey…my favourite treat from New Mexico…well that and a generously salted margarita. I believe that is one of my husband’s favourites as well. I have lived in Southern Nevada (in a suburb of Las Vegas) for almost 30 years, so I guess you could say I’m a desert girl (with a Lake ache). 😉 And between the ages of 11 and 12, we lived on a Navajo reservation in Rough Rock, Arizona. That was a tough 18 or so months for me, school-wise, but the area is SPECTACULAR, and my family made it a point to visit everything we could. I can remember exploring the desert, and finding whole pieces of beautiful pottery. We also attended some traditional Navajo ceremonies and hiked breathtaking Canyon de Chelly numerous times. This brings back some great memories. Thank you. Wow – what a spectacular experience. Not quite familiar with the Southwest so had to use pure imagination.. along with the gorgeous photos provided by Mish 🙂 hope you guys like the poem. I would think that Nevada would be considered to part of the Southwest. I have to laugh at “Lake ache”…as I live a couple min. away from a massive one. I believe I have “canyon cravings”. I still need to visit Canyon de Chelly, says my husband. Happy to bring back some good memories for you. Canyon de Chelly is a wonderful place, not least for the fact that there are still places where people live. We went for a guided walk in moonlight there..
That must have been amazing, Bjorn… I definitely need to do that. Thank you, Mish for an inspiring prompt and the addition of your wonderful photos. I’ve linked up and will return for reading after dinner. Thanks for this prompt, as I was prompt-less. I hope you won’t mind, Mish, if I converted your photo to black and white? I love this prompt. 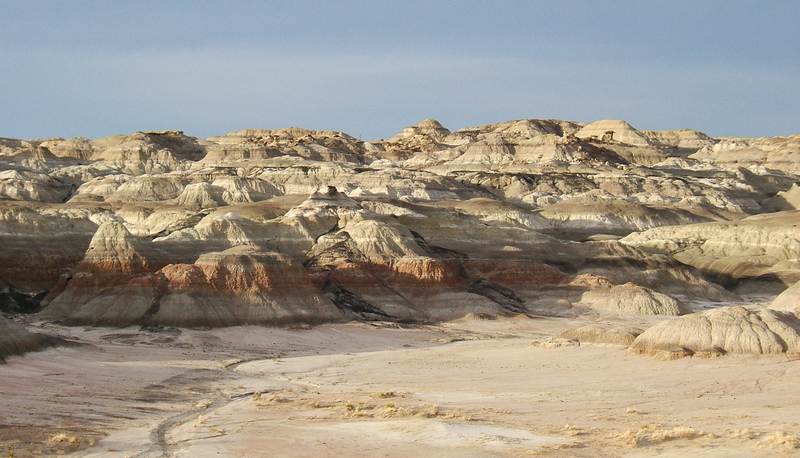 If ever there were a locale that inspires creativity, the southwest is it. I’ve never visited the high desert in northern New Mexico without wishing I could paint it. Today I’ve written of someone who did. Interesting prompt the pictures stirred my muse. I have always wanted to travel west and Monument Valley is on my list of must see. I will read for a bit and then catch up tomorrow as it is late. I had to do another for this wonderful prompt. thank you again Mish. It certainly has brought out the memories for me. Good morning everyone and thank you to Mish for the prompt. This was a difficult topic for me as I have only ever been to the States once, to New York; I’ve never been to the Southwest and know very little about it, which is reflected in the poem I am about to post. I think I’ll learn more when I read everyone else’s poems! Hi Kim. 🙂 Your poem is yet another perspective. Thank you for rising to the challenge! Just coming back to the pub this morning with a hot steaming cup of coffee in my hands. Finished reading comments on my poem — don’t usually post about that here — but Toni told the most wonderful story about her mom and okra as a response to my post. It got lots of replies and chuckles 🙂 Thanks Toni, for sharing 🙂 Really made my morning cheerful despite the grey day here in Boston. It was grey here today too, Lillian…but the rain held off. A mild spring day. It has been very exciting to read the responses with a prompt close to my heart. I hope that those who have never traveled in those areas still had fun using the visuals and their fabulous imaginations. I love your photos, Mish and you have chosen one of my favorite topics to write about. I lived in New Mexico for over 11 years and though I can’t go back a part of my soul is still there! Great prompt! Aww…I’m sure you miss NM after all those years. Glad you could reminisce through the photos. Mish, I just wanted to say how much I enjoyed all of your photos. You’re a gifted photographer, as well as poet. Sneaking in at the last minute for this prompt that is dear to my heart. Just left the low desert for the high desert, driving through the Mojave where the wild flowers were putting on a show–not as extravagant as in other, wetter years, but beautiful none-the-less. Thanks for this wonderful prompt, Mish–from your fellow desert rat. Haha!! Yes! So happy that you made it, Victoria. Heading on over to read your poem. The time expired for me…so I will post my poem here…. I posted it again, to get the breaks in.